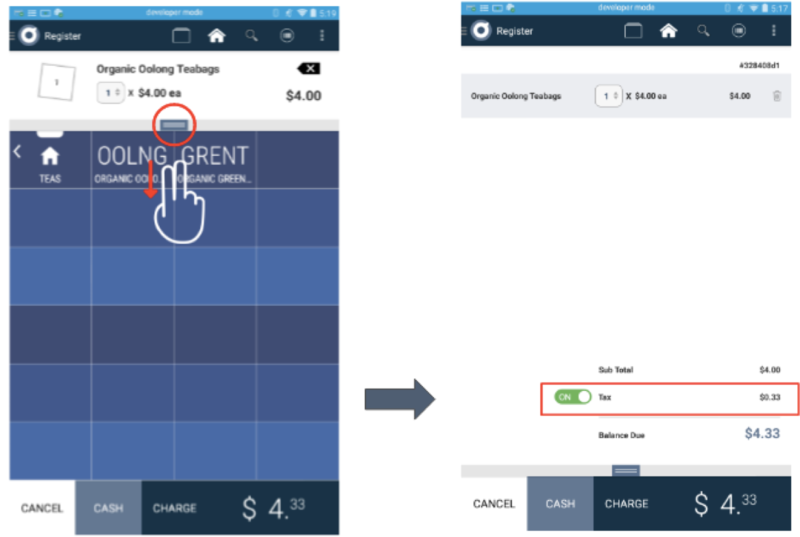 A new shortcut to Manual Entry transactions is now available on your Launcher / Home screen. 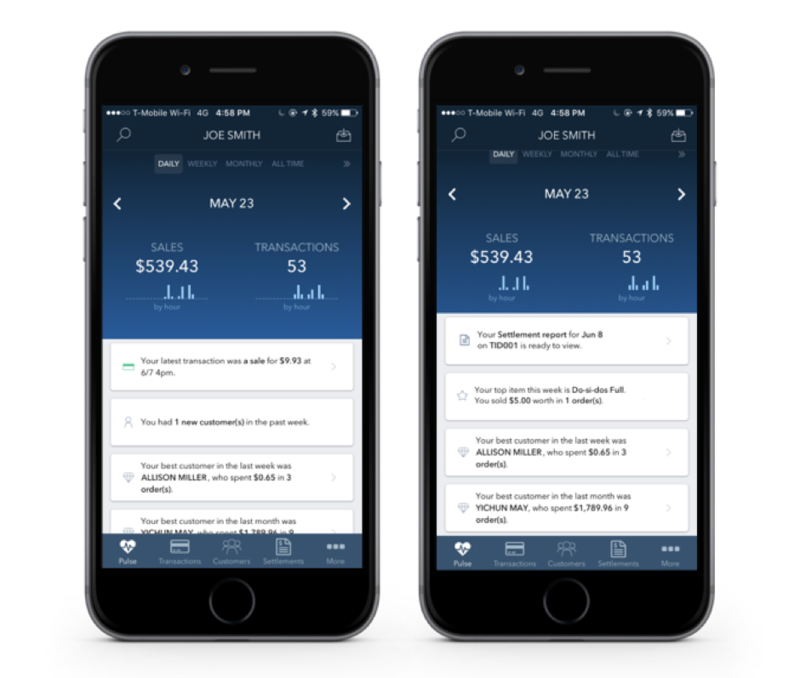 Simply tap Manual Entry to go to the screen for typing in transaction information. 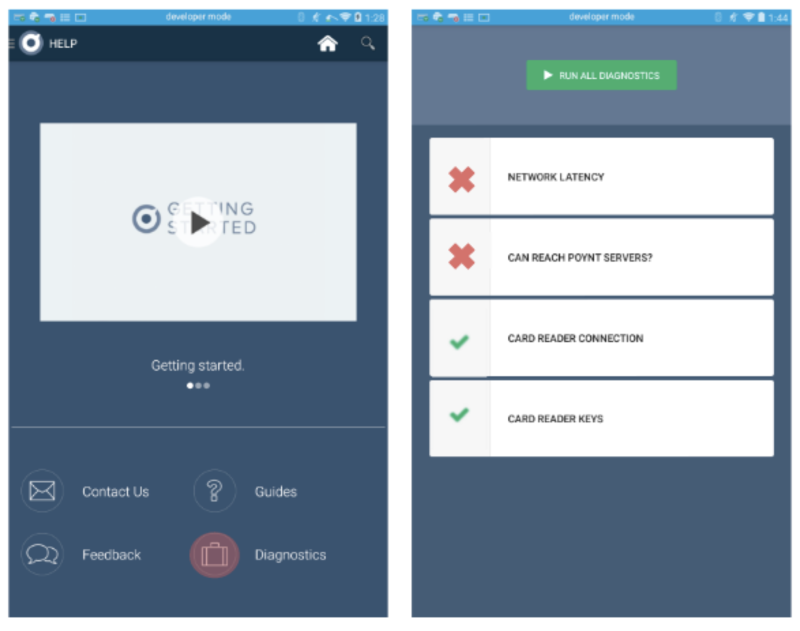 If a merchant is experiencing any technical issues with their Poynt Terminal, there is now a Diagnostics App that will run simple checks on the device to ensure all major components are functioning properly. Checks 1 and 2 - If any network or connectivity checks return a red status, please first confirm that internet connectivity is established at merchant’s location. Wifi (via secure WPA or WPA2 setup) or Ethernet connectivity are both supported. Contact your internet services provider if you’re experiencing latency or slowness. 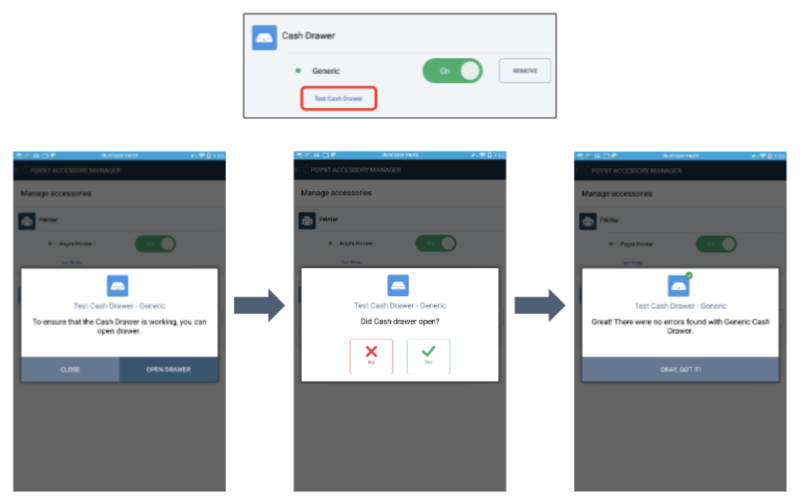 Checks 3 and 4 - For card reader issues, please contact Poynt Technical Support at support@poynt.com and provide your Merchant Account Name and your Poynt Terminal Serial Number. 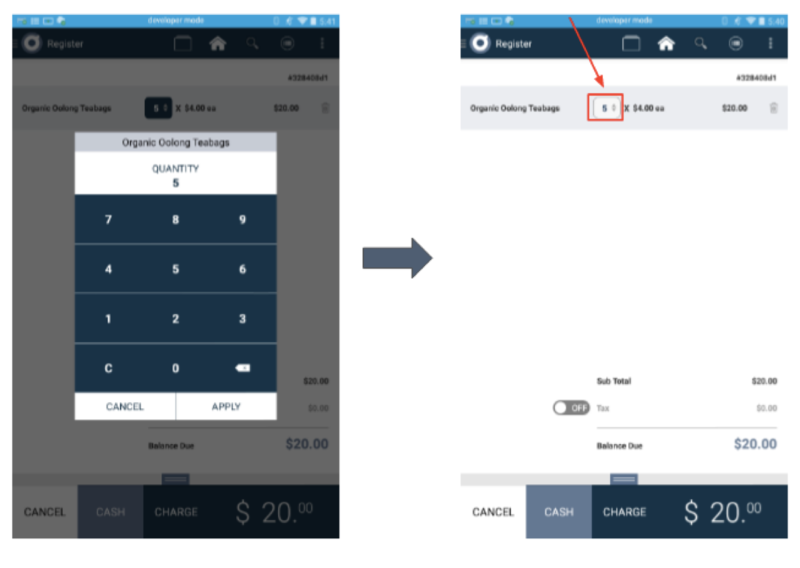 We have made a few enhancements to optimize your Register App experience. New functionality listed below. To access, go to Launcher / Home screen > tap on Register App. If you have not yet set up a Product Catalog for your Register App, you may do so by logging in to your Poynt.net account > click on “Products”. For more information on how to Set Up your Product Catalog, go to Poynt Help Center at support.poynt.com > Documentation > Product Catalog & Register App and download the pdf guide. 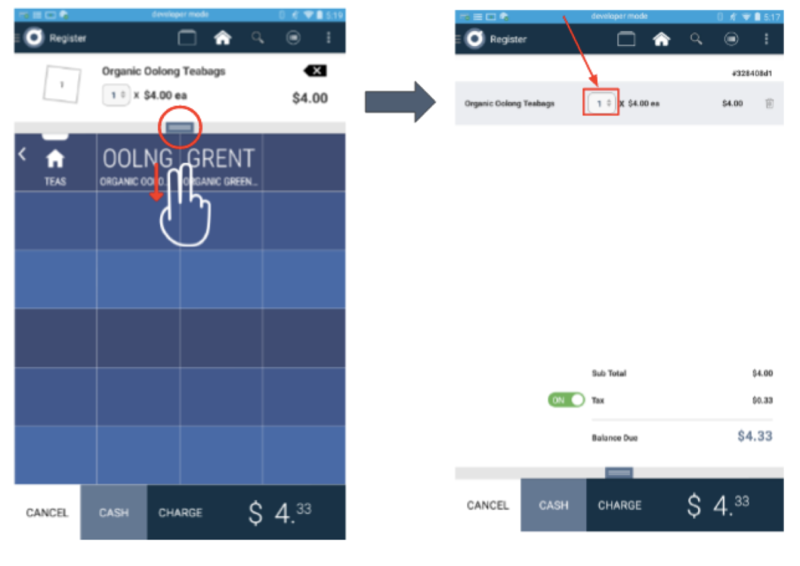 On the Register App main screen, “Cash” button now appears next to Charge so you can easily tap for quicker transaction processing. Step 1: Swipe down from the order tray to view Order Details. Continue to process the transaction. 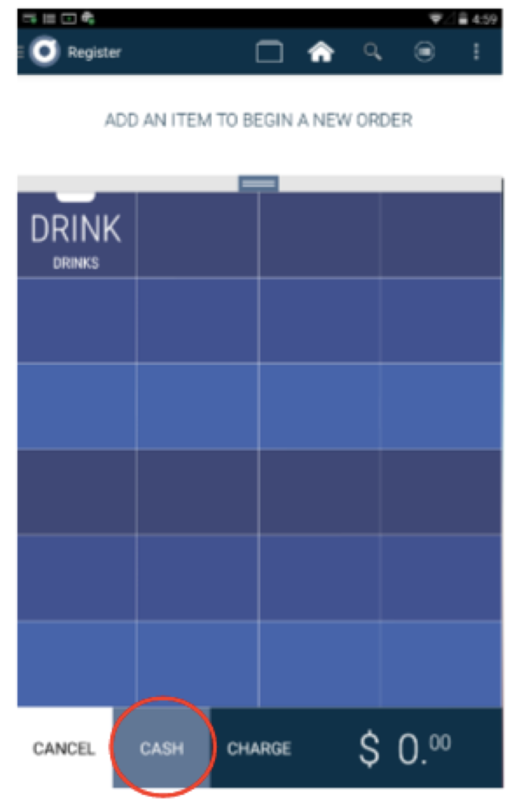 Step 1: Swipe down from the order tray. Step 3: Enter in the quantity for that product, and you will see the quantity update as well as the total amount. Note: You can also delete an item from the order by tapping on the trash can icon next to the line item amount. Since most cash drawers use serial cables, you will also need a USB Cash Drawer Adaptor/Trigger + cable to connect to the Poynt docking station. 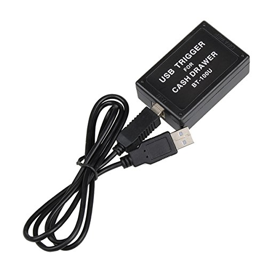 The cash drawer serial cable plugs into the USB Adaptor/Trigger and the USB cable connects from the USB Adaptor/Trigger to the Poynt docking station. An example is shown below. Accessories need to be connected to the Poynt Terminal docking station via USB cable. The Poynt Terminal needs to be placed in the docking station in order to communicate with the external accessory. 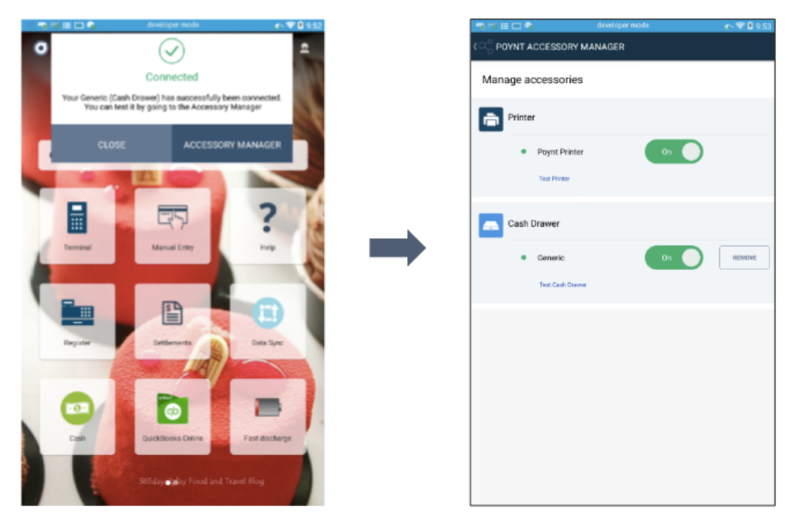 When you connect an external accessory (such as a cash drawer or a receipt printer), a new Accessory Manager screen will appear to help step you through the setup process. Simply follow the onscreen directions. Once an external accessory is connected, you can try a test using the link provided. 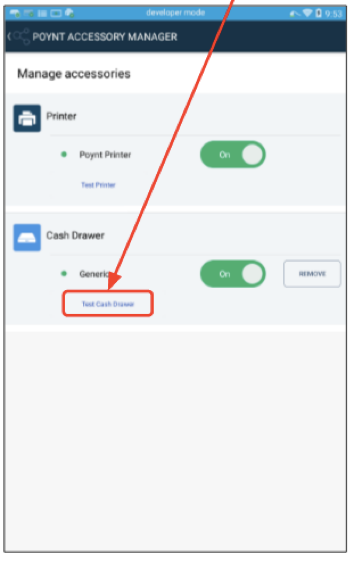 You can test a cash drawer opening or test a receipt print. Simply step through the screens to trigger a test. 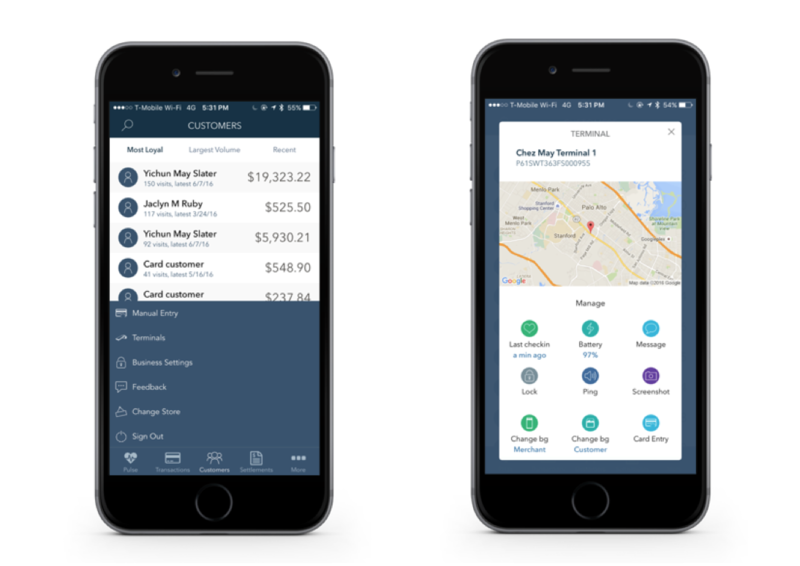 Merchants who would like to stay connected to their Poynt terminal or remote control their business can download the Poynt HQ iOS App at poynt.com/hq/ios or simply search for Poynt HQ on the App Store. Learn more about the Poynt HQ App by reviewing the training document on the Help Center at: support.poynt.com > Documentation > HQ App. A new Pulse landing page is available and includes some new and handy dashboard stats for your account. After signing in you’ll land on the Pulse page. 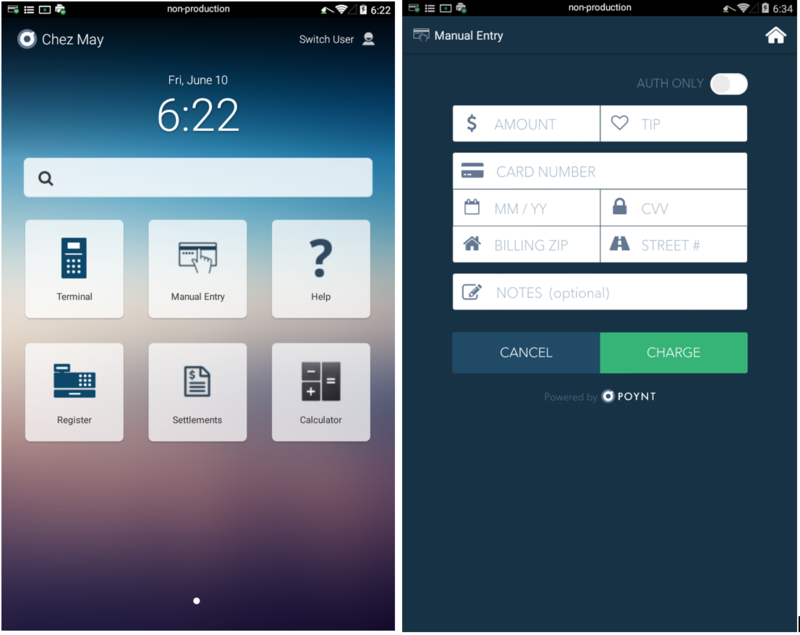 From here you can swipe to view at-a-glance what’s happening with your Poynt Smart Terminal. You’ll see insights about your Poynt account which will dynamically highlight interesting insights about your business.